Credit card tips – They say, “nothing no matter how good is positive at its extreme”. A good sense of responsibility and discipline is needed to adhere to this saying. Credit cards in a lot of ways are very useful if used responsibly. Below are tips by Insu on how to use a credit card more responsibly. If you have a good credit rating, then the possibility banks approaching you to offer one are very high. Banks will usually only tell you the advantages of owning one without the disadvantages. But we advice that you must only get one if you really do need it. Usually, most banking institutions charge a 0% interest rate 30 days after purchases with your credit card. Surely, this sounds like a deal not to ignore. But that is the catch, banks want you to spend more than you can actually afford. This is why you must endeavor to spend only on things you can afford. As to avoid late payments and incurring extra charges that might be way out of your budget. 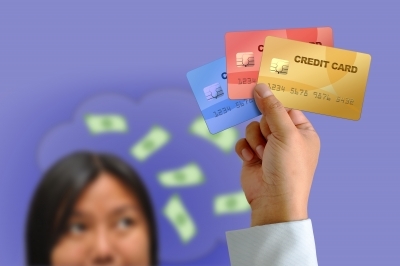 One of the worse things you can do is to pay only the minimum payment due on your credit card. Because, basically that increases the time you’ll be able to pay off your debt, which automatically means more interest at your expense. This generation is famous for “fake it till you make it”. But your credit card should not be a means to things you can’t actually afford. A credit card should only be for essential needs and not wants or mere cravings. credit rating negatively. So its best not to continue in the vicious circle after being declined.